Welcome to the Psychic Center of Sedona, home of Madame Bonnie, a natural-born psychic. 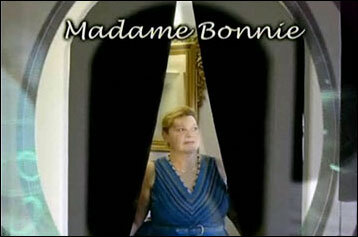 Madame Bonnie can help you evaluate your priorities and choose your life's path, reach profound insight, and unlock your full potential. The Psychic Center of Sedona has been located in beautiful Sedona Arizona since 2006, and also has a home office in Redondo Beach California since 2004. Please call for an in-person or phone reading appointment in Sedona Arizona, 928.282.3207 or Redondo Beach California, 310.316.0244. Telephone readings are also available. Madame Bonnie specializes in Love Matters, Relationships, Health, Career, and Money matters, offering Spiritual Counseling and Energy Healing, Problem Solving, Past Life Readings, Chakra Balancing and/or Clearing and Healing your Inner Soul. Connect with your Spirit Guides, clear your Chakras, reunite with your Loved Ones.